Duluth, Minnesota has a reputation as an outdoor MECCA thanks to all the recreational opportunities created by the rugged landscape, numerous rivers and lakes, and the big attraction: Lake Superior. This well-deserved reputation is also due in no small part to the wonderful community and businesses that have promoted the Zenith City. At Swiftwater Adventures, a lot of our clientele are Duluth tourists looking to seize adventure opportunities like whitewater rafting on the St. Louis River, so we love Duluth—and all its craft beer options! We also love Carlton and its proximity to a wonderful landscape of adventure opportunities and the community that makes it a great place to live or visit (Don’t fret Esko and Cloquet, we love you too). Carlton has small town charm but is big on recreational opportunities. Just 15 minutes south of Duluth, Carlton is the gateway to Jay Cooke St. Park. The town was founded in 1881 after starting out as a shanty town known as the ‘Pacific Junction’ for railroad workers completing the railway from Hinckley to Duluth. Today, this quaint little city is the county seat of Carlton County. Although sporting a population of only about 1,200 there is a lot of activity going on in and around Carlton. Obviously, if you want to go whitewater rafting on the St. Louis River or try out kayaking we can recommend an outfit that will take you down (subtle wink). Swiftwater Adventures runs whitewater trips on the Upper and Lower sections of the river. Our trips take about 2 ½ hours and provide you a whitewater and wilderness experience. Besides its whitewater opportunities, the St. Louis River is the life blood of Jay Cooke St. Park. Jay Cooke St. Park is one of the most popular state parks in Minnesota, and for good reason: It is beautiful and hosts a multitude of recreational opportunities. Comprised of over 9,000 acres the park has outstanding trails, and numerous vistas that wow the beholder. There are over 50 miles of hiking trails, 32 miles of cross country skiing trails, and over 13 miles of mountain biking trails. Also, the park boasts the infamous Swinging Bridge: the suspension bridge that crosses over the St. Louis River originally created by the Civilian Conservation Corps in the 1930’s. The Munger Trail runs right through Carlton so if you are biking the trail stop in town for some refreshments. Or come to town to bike! 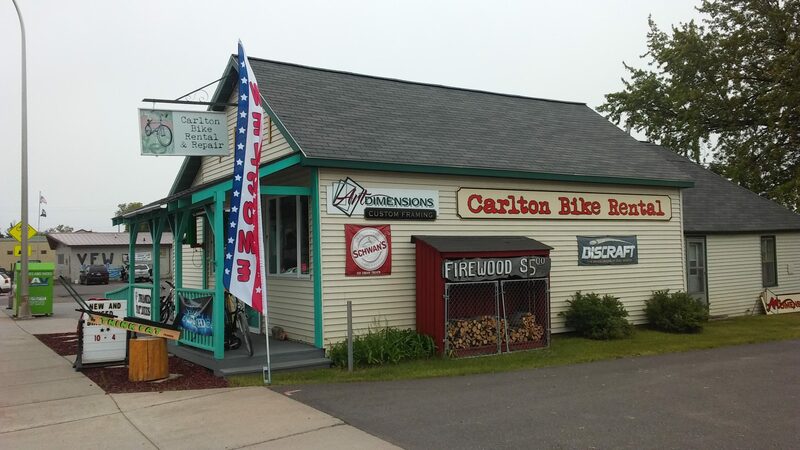 Carlton Bike and Rental is just off the Munger Trail and rents an assortment of bikes from 10 speeds to mountain bikes to fat tire bikes . If you like single track, then just down the road are the Mission Creek Trails sporting miles of flowy single track through gorgeous northern hardwood and coniferous forests. Come get lunch before you go mountain biking, or hiking, or rafting, or whatever floats your boat, or stop by downtown after for dinner or a cold adult beverage. 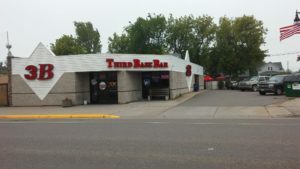 The Third Base bar has a fun atmosphere, good food and great drink specials, bands, and even a Sunday Funday during the summer with live music from 4 to 8 pm. 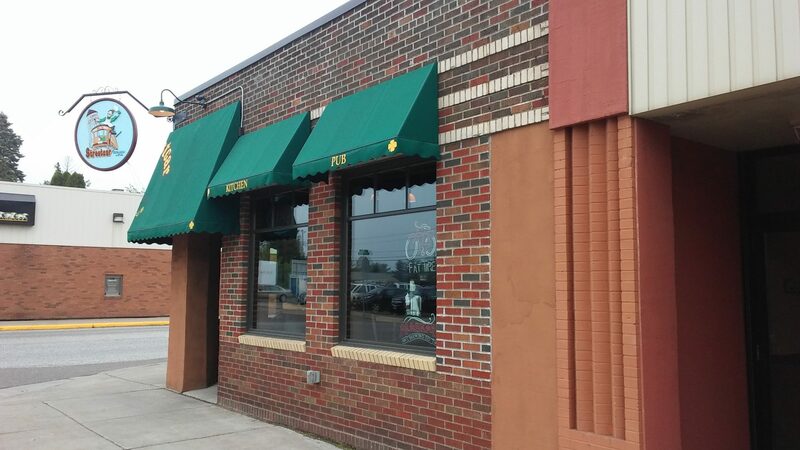 Across the way the Street Car offers great food and a large variety of brews. The wild rice salmon burger is my favorite. Down the street the VFW has a nice deck, cold drinks, and friendly people. Looking for last minute amenities? 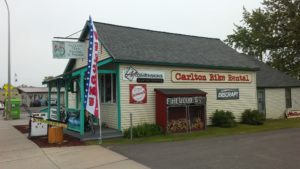 If you are camping in Jay Cooke St. Park and need some brats and burgers, or maybe fixings for S’mores then head to Carlton Meat and Grocery. There is also a laundry mat right in town in case you need to do some last minute laundry. Whether you are looking to stay in or near Carlton or are in Duluth and come here for a day trip, Carlton’s small town charm offers big time benefits. Come visit us! Swiftwater Adventures: What New in 2017?